Didn’t we all have that “Parent Trap” fantasy, where we’d come across a long-lost sibling that was separated at birth? That dream didn’t go beyond a movie plot for the most of us, but it’s just come true for the Sun. In a rare discovery, an international team of astronomers has found a star that was likely born in the same stellar nursery as our Sun. After analyzing the characteristics of thousands of stars in the Milky Way, the group is confident that they’ve not only found a solar sibling, but possibly a solar twin. Named HD186302, the near-identical star is only the second of the Sun’s close relatives ever identified. The finding could help researchers understand the environment that the Sun and its siblings formed in, and possibly uncover habitable planets within the twin’s orbit. The Sun sits in relative isolation now, but billions of years ago, it was part of a young, crowded neighborhood. Like all stars, it was born in a massive stellar nursery with thousands of others. But due to the tidal forces of the Milky Way, the nursery was torn apart, and the stars were scattered about the galaxy. And since stars often travel far from their birthplaces, finding them has been a pretty tough task. However, researchers from the AMBRE project are working hard to uncover the Sun’s ancient family. A collaboration between ESO and the Observatoire de la Cote d’Azur, AMBRE uses an array of spectrographs, along with data from ESA’s GAIA mission, to identify the ages, chemical abundance and motions of stars in the Milky Way. Thanks to this extensive dataset, researchers from the Instituto de Astrofísica e Ciências do Espaço (AI) in Portugal were able to probe 17,000 different stars. After combing through the celestial records, the team found a star that has an uncanny resemblance to the Sun. HD186302 is a main sequence star, and it sits about 184 light-years from Earth. 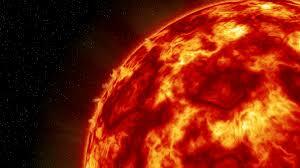 The star has roughly the same age, metallicity, chemical abundances and even ratios of carbon isotopes as the Sun. In other words, it’s just about as Sun-like as you can get. These undeniable commonalities make it just one of two stellar sibling ever identified, following just behind HD 162826, discovered in 2014. Astronomers could use these similarities to determine the type of environment that the siblings formed in, helping to paint a picture of their now-defunct stellar nursery and the other family members that were born within it. The discovery also leads researchers to wonder if, like the Sun, HD186302 could house life and habitable planets. “Some theoretical calculations show that there is non-negligible probability that life spread from Earth to other planets or exoplanetary systems, during the period of the late heavy bombardment. If we are lucky, and our sibling candidate has a planet, and the planet is a rocky type, in the habitable zone, and finally if this planet was ‘contaminated’ by the life seeds from Earth, then we have what one could dream – an Earth 2.0, orbiting a Sun 2.0,” said lead researcher Vardan Adibekyan, whose discovery of HD186302 was published in the journal Astronomy & Astrophysics, in a news release. In a follow-up campaign, the team plans to use ESO’s ESPRESSO and HARPS spectrographs to scan the star for orbiting planets. If found, astronomers could compare the planets that formed around our Sun to those that formed around one of its siblings, revealing the types of planets that our ancient star cluster might have left behind.